There have been some rumors about Microsoft announcing a major re-organization of the company to keep it competitive in the changing landscape of hardware versus software and enterprise versus the consumerization of high-technology components that were once reserved only for big-spending business. In essence, the company is hoping to continue a trend it itself helped create with the PC revolution at the advent of the Windows operating system. That means fostering a trend that will make it easier to relate to consumer demands. One interesting indicator about this move is the arguably sudden move by Don Mattrick to depart Microsoft’s Interactive Entertainment Business team, which heads up Xbox and all associated products and games, to become CEO of Zynga. The breadth of projects the IEB group deals with would make it a key component to head up even bigger initiatives in the future. That will not be the case for that team though as it looks like CEO Steve Ballmer may be setting things up for Julie Larson-Green command over hardware engineering for the whole company, which would include continued development of the Xbox. On another side of the reorganization, Skype president Tony Bates may take up acquisitions and full developer relations across the spectrum. The acquisitions role is equally interesting, but not necessarily indicative of a direction Microsoft may be looking of going in terms of mergers and acquisitions. 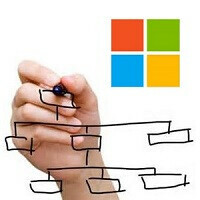 Microsoft’s businesses are expected to be reorganized around devices and services. That will, in turn, give the consumer centric managers a chance at scoring success on the business side. The re-organization announcement may come as early as next week, or later in July when Microsoft will report its earnings for its final FY2013 period. Heres how I see it, if the "consumer rules all" then Windows will get its start MENU back... Oh wait... it wont, so the statement is FALSE! I know I'll get a lot of hate with this, but who cares. "consumer rules all" is a very dangerous business philosophy to play with. Consumers should take priority, but they are also extremely stupid... If it all falls upon them, your business will crumble pronto. People are resistant to change, but demand it all the same. I think Windows 8 was a move forward, but people still demand an OS that looks like Windows 95 but with cleaner lines and fresher colors. They screwed up on the transition, and also the usability with a mouse, but it's being addressed better in 8.1. Other times it's good -- Xbox One had some harsh policies but consumers urged them to find a better solution. A compromise. Overall IMO, Microsoft botched a lot of their recent attempts, but the market demands big moves and innovations, and Microsoft brought it. Even if they're stumbling out of the gate, they have time to refine their products/services and I look forward to it. 8.1 has the Start menu, genius. Research before making a fool of yourself. The start menu is NOT back in 8.1, genius. It has a start BUTTON that links you back to the start screen. At least that's how it's working on my computer. The start menu never left. It just isn't the same. Nope. Its plain annoying. Just calculate the number of clicks and scrolls required to shut down/restart/logoff the PC compared to Windows 7 and before. Thats just one of the many annoyances of Windows 8. The modern UI is awesome on touch devices, but not on the desktop/laptop PCs. I understand that they want to unify the Windows experience on all the devices, but what they have done is put form over functionality. MS seems to have forgotten what each type of device is meant for. Tablets/Smartphones - quick work on the go, where form/looks over functionality is desired. Desktops/Laptops - doing some heavy duty work, where functionality over form/looks is important. You don't want to be dragging your mouse from one corner of the screen to another. Modern UI is good for casual users - browsing, movies, music, etc. Not for Heavy workloads like conversions, editing, website creation, coding, etc. I don't understand this article, please speak in laymans language, thank you. In layman's terms: Ballmer is driving the company into the ground (Laughing off the iPhone and iPad, Vista, W8, WP, etc.) and heads have to roll to cover his incompetence. Not to mention they pissed off 95% of their xbox fan base when they announced restrictions on xbox one, which they were forced to change from an overwhelming negative reaction. That left a bad taste in a lot of peoples mouths, and are switching to the PS4 anyways. Microsoft has changed. The company has now 0 (ZERO) confidence in what it actually wants to do. They made the Zune. It failed. They made Windows Mobile. It failed so they had to scramble WP7. It isn't much of a success now either. They made the KINs. They failed. They made Windows 8 and removed the start button. The consumers hated this so they brought the start button back. They made a new XBox with DRM. Once again the consumers hated this so they changed it. MS nowadays has no spine. They just hope that if they throw enough cash on something, it will work, like when it worked with the OG XBox in 2001. But miracles like that happen only once. You can't make a company successful via cash alone. You like HTC we need support and updates not pretty words that sound and read nicely but are as worthless as used toilet paper so get off your fat faces and give me and anybody else a real reason to want a Windows Phone Device like updates we don't have to wait a year for after announcing it and Microsoft needs to do more than just Update and drop support, The reason no buys your s**ty WP Smartphone is nobody wants to be Microsoft's Next Dumpster Baby!